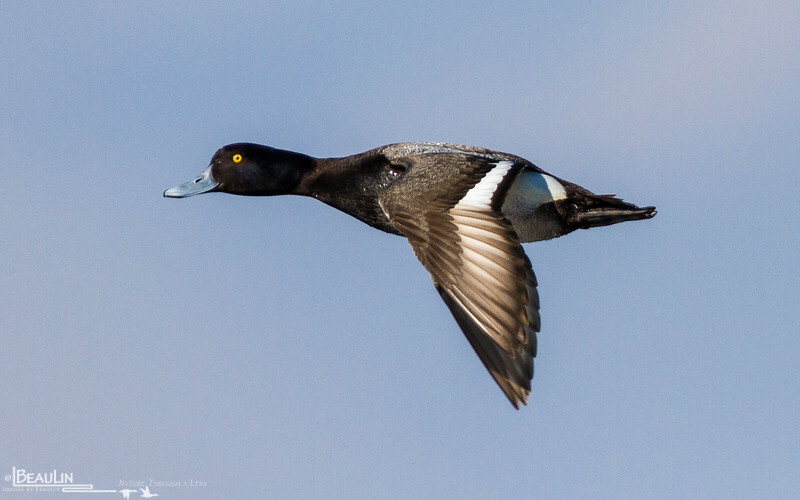 Lesser and Greater Scaup, also referred to as Bluebills, are one of the most common ducks in North America. Quite agile flyers, they are a popular species in the bag of late-season waterfowl hunters. Despite their abundance, their numbers have declined by 50% over the past 30 years, not due to hunting but based on recent research to factors impacting the Boreal Forest of Canada, where the majority of the population breeds. Fragmentation of habitat, and especially climate change impacting permafrost and the hydrology of their wetland breeding habitats are the leading suspects.